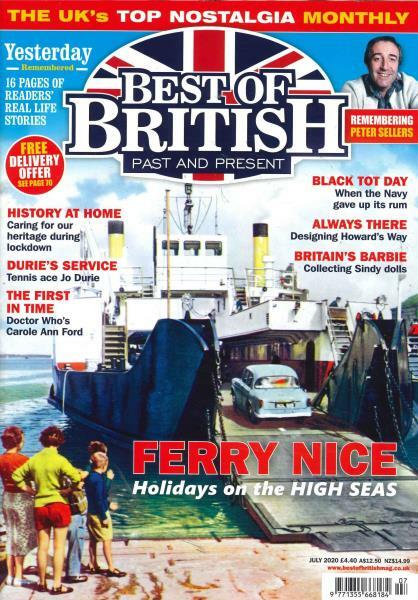 Best of British magazine is packed with stories and pictures guaranteed to bring so many memories flooding back. Buy a single copy or subscription to Best of British magazine. Offering page after page of timeless reading,Best of British covers every aspect of life from the 1930s through to today, recording the way it once was and demonstrating what makes Britain so special. Each issue brings a look into the glorious past of Britain. It covers memories as diverse as steam power, motoring and dolls houses and if it was brilliant and British you can be sure that it'll be featured. As well as a fascinating window into the past, Best of British also covers collectibles, relevant books, vintage style and fashion and has a great puzzle page, and is excellently illustrated throughout with some gorgeous new and vintage photography. I love the magazine and its emphasis on the deep respect and admiration for persons of Britain's past.